This is a proprietary formula combining seven essential and natural ingredients designed specifically to promote prostate health by attacking the causes of prostate disease at its roots. 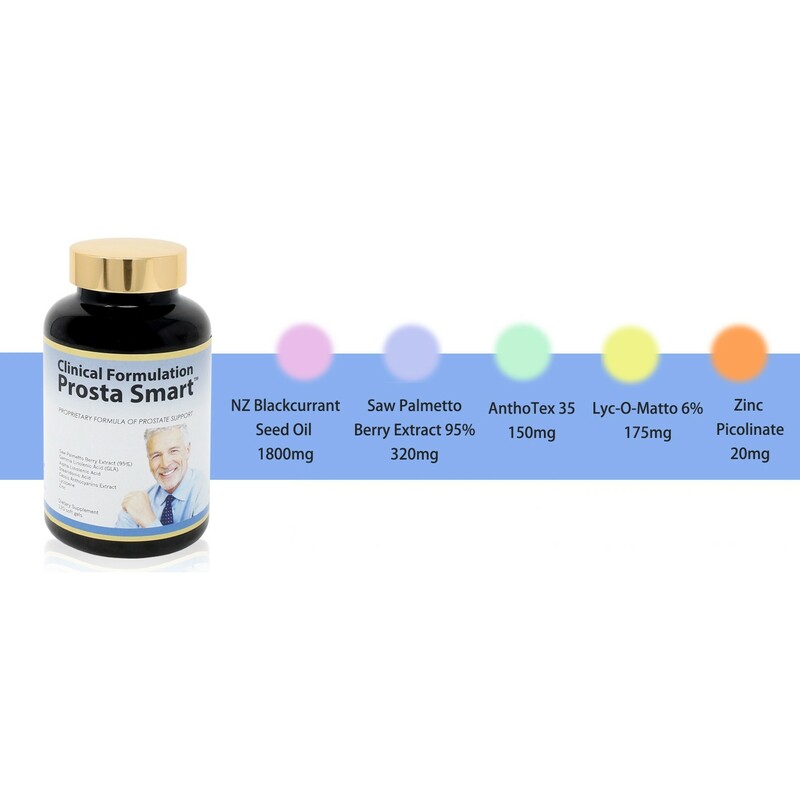 Prosta Smart is effective in the fight to lower Dihydrotestosterone (DHT) which is a root cause of enlarged prostate (BPH) by helping inhibiting the bad enzyme 5 Alpha eductase. A synergistic proprietary formula of five powerful and safe ingredients provide 5 rapid and long lasting relief for the symptoms of an enlarged prostate. 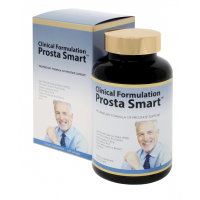 The propriety prostate formula of Clinical Formulation Prosta Smart naturally supports healthy prostate gland function. 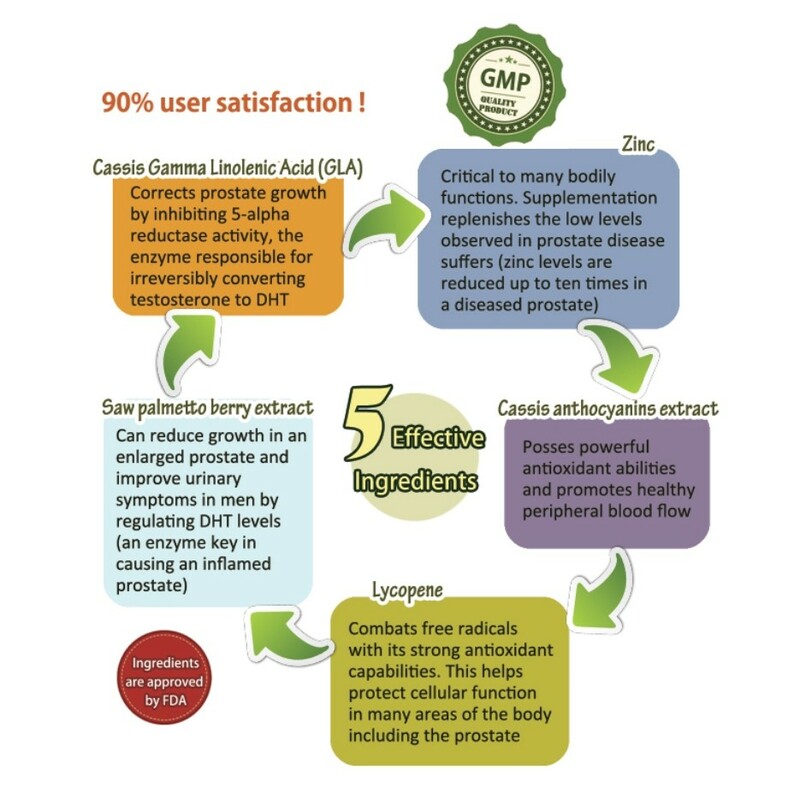 5 major alternative medicine ingredients Saw palmetto and GLA and Omega3, in addition to other scientifically validated health compounds, work to synergistically to inhibit the enzyme 5-aplha reductase. 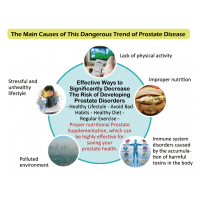 This enzyme is responsible for converting testosterone into the prostate cancer causing compound dihydrotestosterone (DHT). 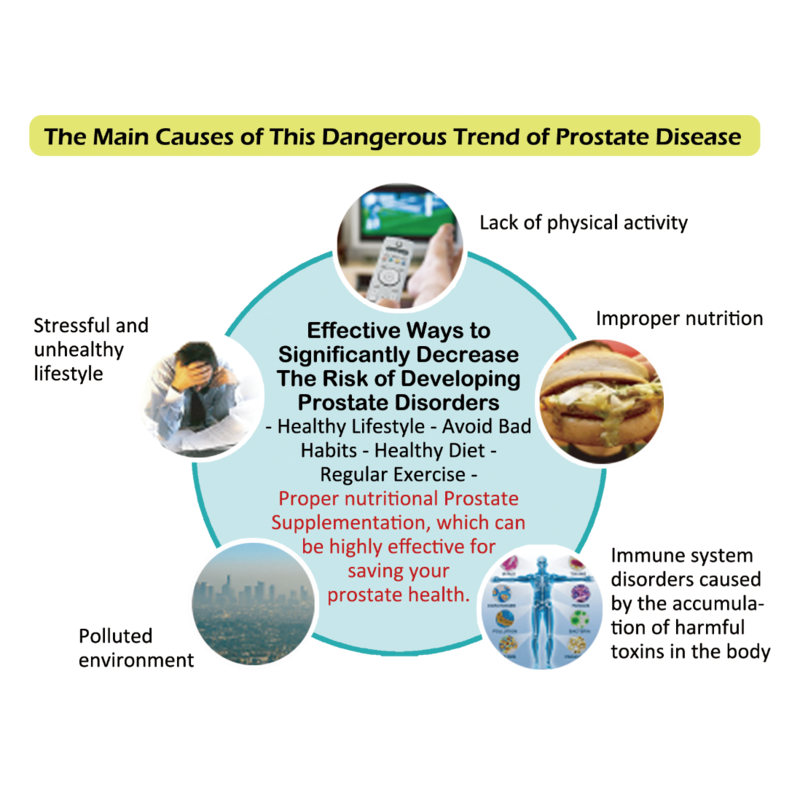 In addition, these ingredients also reduce the productionof prostaglandin E2, a destructive enzyme suggested tocause prostate muscle contraction. 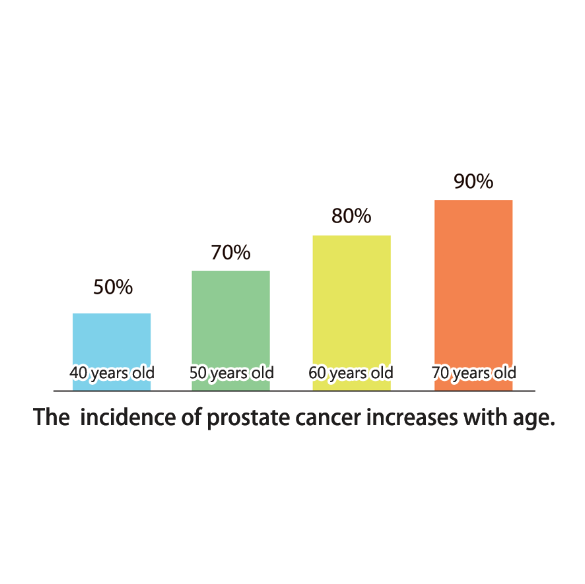 Prostate cancer is the second leading cause of cancer death in American men. 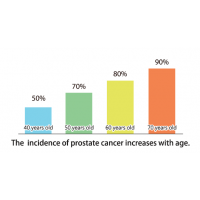 Half of all men over the age of 40 will have some for of this disease. As a dietary supplement, recommended use is 2 soft gels twice per day with food and water, or as recommended by a physician. 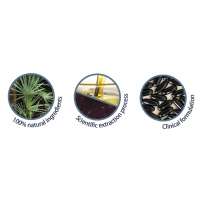 The Saw Palmetto used for prosta smart is grown and harvested in Florida then extracted in a all-natural supercritical CO2 extraction process without the use of any harmful chemical solvents. 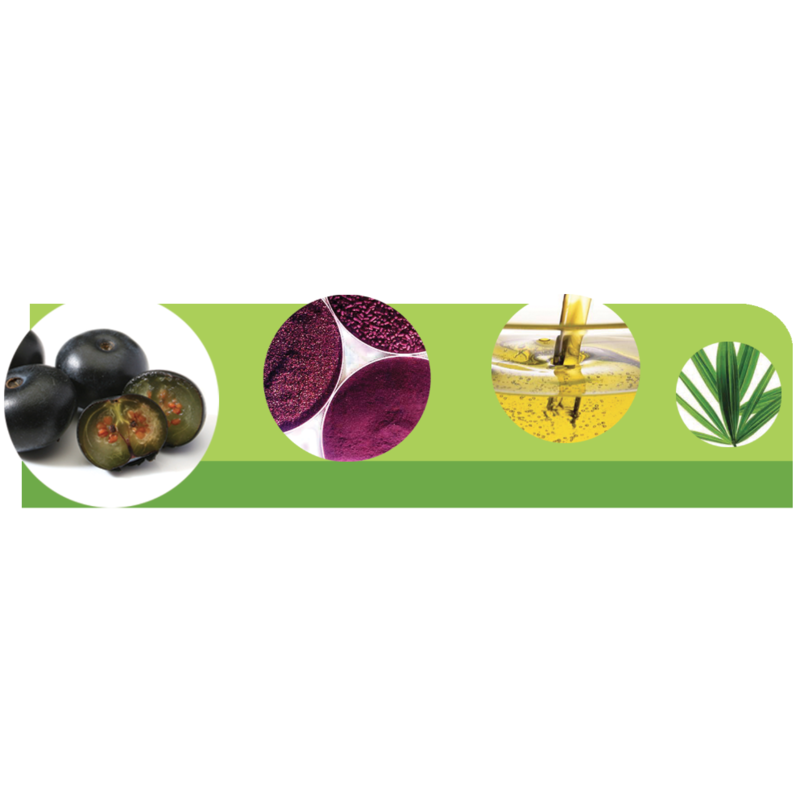 The final product is standardized to contain at least 92% fatty acids and top quality sterols. 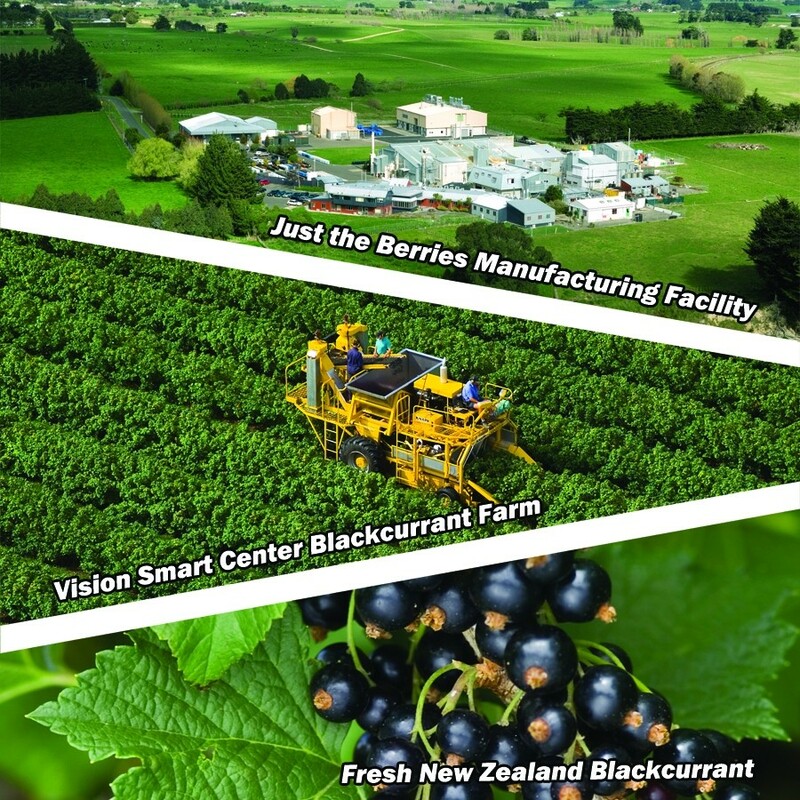 Just the Berries, one of the world’s most acclaimed blackcurrant specialists, carefully obtains blackcurrant anthocyanins and seed oil from premium New Zealand blackcurrants using a proprietary, solvent free extraction processes. 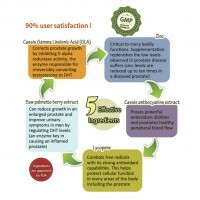 These extracts are standardized to contain 30% and 16% anthocyanins and GLA respectivly. 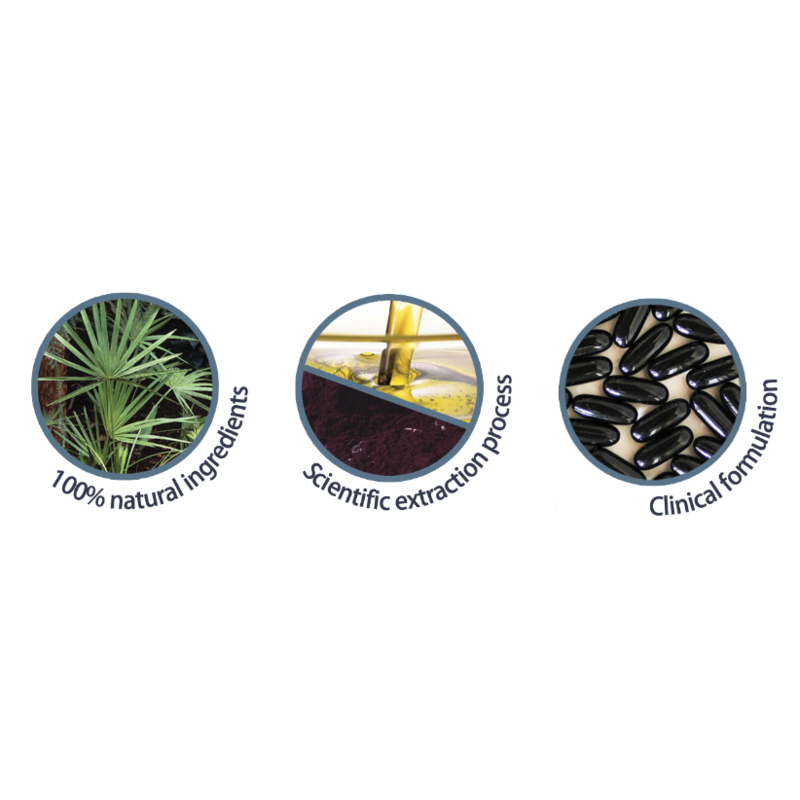 These three key ingredients are then combined with the other high health components (obtained from top quality suppliers) to create Clinical Formulation Prosta Smart™. Clinical Formulation Prosta Smart™ is manufactured with proprietary Just the Berries solvent free extraction methods, in GMP approved facilities that meet the strictest international regulatory standards. This helps ensure highest possible product quality and safety. 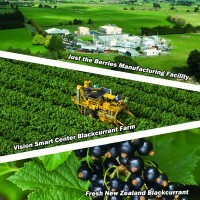 Vision Smart Center and Just the Berries PD are committed to producing high quality, innovative, safe and active food supplements to help keep families healthy. 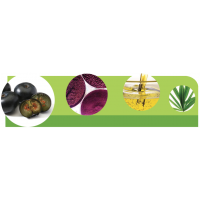 To achieve these goals, they take a comprehensive approach to product production involving careful selection of suppliers, dosages, new technologies and manufacturing facilities. 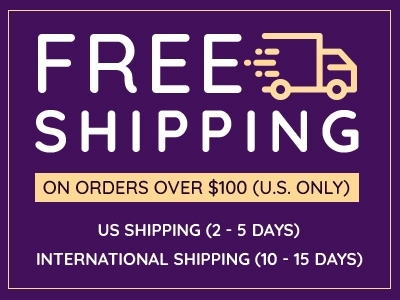 They have been creating and selling blackcurrant based health supplements for over 8 years and currently enjoy a global reputation based on excellence. 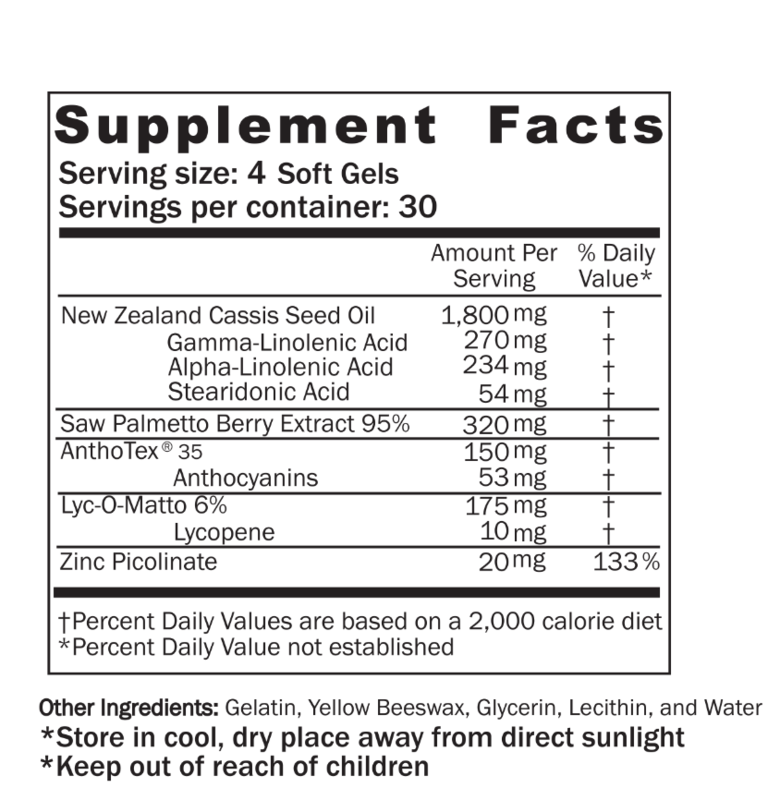 Recommended use: 2 soft gels twice per day with food and water or as recommended by a physician.